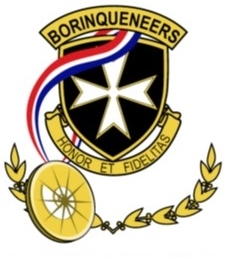 "To administer, manage, & execute all necessary efforts to obtain the Congressional Gold Medal for the 65th Infantry Regiment Borinqueneers by pooling resources from various organizations and individuals and ignite a public groundswell of support for the 65th Inf. Reg. 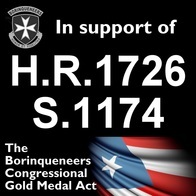 Congressional Gold Medal initiative." 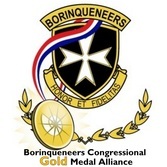 Borinqueneers Congressional Gold Medal Alliance is a nationwide, grass-roots, non-partisan, all-volunteer group of organizations and individuals dedicated to achieving the Congressional Gold Medal for the 65th Infantry Regiment, the "Borinqueneers" from Puerto Rico. We are officially sponsored by You Are Strong! 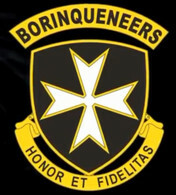 Center on Veterans Health and Human Services, and we're comprised of individuals and organizations with a unique set of experiences and talents dedicated to achieving the HIGHEST CIVILIAN AWARD for the BORINQUENEERS!!! 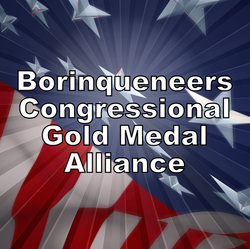 The Borinqueneers Congressional Gold Medal Alliance does not specifically advocate for any other contemporary Puerto Rican, Latino, or Veterans issues. 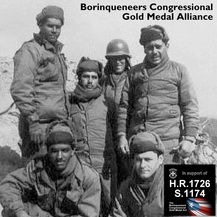 We are solely devoted to achieving the Congressional Gold Medal for the 65th Infantry Regiment with the hope that this recognition will also serve as a springboard to spotlight and heighten awareness on all Latino Veterans and Latinos in the United States. We are hopeful that this honor will also serve as an inspiration for the coming generations of Latino-American patriots & leaders. ***NOTE: We are not a veterans service organization. We do not have access to service members' military records. We do not request/process service members military records, medical claims or military awards/decorations/medals. If you are interested in joining our Alliance, please contact us. Director, Bilingual Veterans Outreach Centers of Mass. 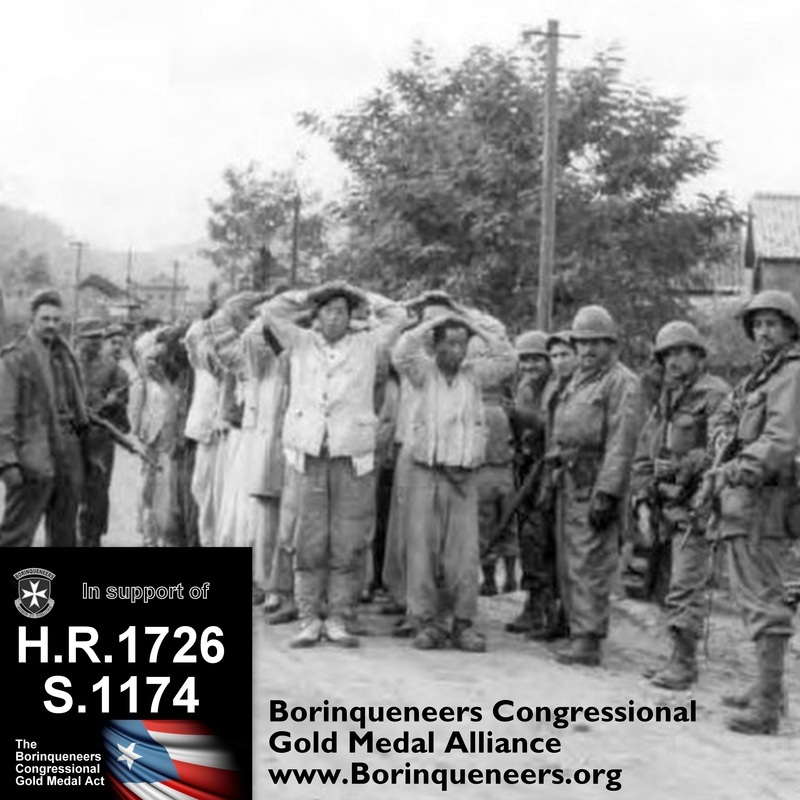 President, Hispanic Heritage Council of Western NY, Inc.
"We should NOT allow the legendary Borinqueneers to become a fleeting footnote in American history and in the history of Latino-Americans and Puerto Ricans in the US." Don Modesto Cartegena, Borinqueneer & most decorated Puerto Rican soldier in US history. "They paid a high price for our freedom. NOW IT'S TIME WE PAID THEM BACK JUST A LITTLE." Click on visual to enlarge. Copyright 2014 Borinqueneers Congressional Gold Medal Alliance. All Rights Reserved.